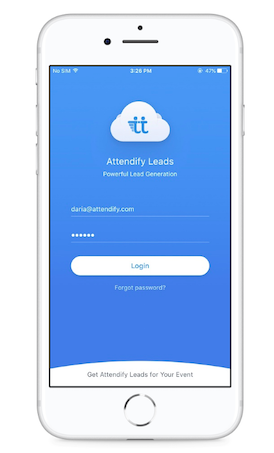 Download Lead Retrieval by Attendify app and log in to start capturing leads at the event. The minimum requirement is iOS 9.0 and Android 4.1. The app is also compatible with tablets. On an iPad, make sure to switch to "iPhone only" mode in your AppStore. Have any questions? Just send us a message to the chat box you can find at the bottom right corner of any Attendify page, we'll be happy to help.